Join Deer Valley Resort, Stein Eriksen Lodge and the town of Park City in celebrating the life and legacy of the late Stein Eriksen on his birthday, December 11th. Festivities including remarks by Bjorn Eriksen, Russ Olsen and Bob Wheaton will begin at 3 PM at the Stein Eriksen Lodge. The Lodge and Deer Valley Resort will offer some of Eriksen's favorite foods. A plaque commemorating Stein Eriksen Day will also be unveiled. Posted in Miscellaneous, Local News, Lifestyle and Recreation | 0 Responses to "Deer Valley To Honor Stein Eriksen on Sunday, December 11th"
Welcome home to Shred and Slytech! Founded in Park City ten years ago by Ted Ligety and Carlo Salmini, the companies' US base will complete the move from New Hampshire this month according to an article in The Bicycle Retailer. Click here to read the full article. Posted in Miscellaneous, Local News, Lifestyle and Recreation | 0 Responses to "Shred and Slytech To Complete Move To Park City"
Enjoy this "Sneek Peek" at the new Warren Miller Entertainment video "Here, There & Everywhere" that features Deer Valley and visionary skiing legend Stein Eriksen. See why the place is magical, its smooth, its elegant, its approachable. And that was Stein. Click here to preview the video. Posted in Miscellaneous, Local News, Lifestyle and Recreation, Mountain conditions | 0 Responses to "Deer Valley Featured In New Warren Miller Video"
It is a pleasure to announce a partnership between Ted Ligety and Deer Valley Resort. As a Park City resident, two-time Olympic Champion and five-time World Champion, Ted Ligety will be the Global Athlete Ambassador for Deer Valley Resort. Bob Wheaton, Deer Valley Resort President and General Manager, says, It is an honor to support Ted and his commitment to the sport of skiing. Ted is an incredible athlete hometown hero and global inspiration. We are thrilled that he has chosen to represent the resort in addition to skiing and training here. For more of the announcement, click here. Posted in Miscellaneous, Local News, Lifestyle and Recreation | 0 Responses to "Ted Ligety Named Deer Valley Resort's Global Athlete Ambassador"
Luxury Second-Home Prices Up 11% in 2015. Why you will want to buy in Austin, Texas, and Park City, Utah. According to an article in Barron's , the top spots on their list for second home purchases this year go to Austin, Texas, where a softening luxury housing market offers a buying opportunity; Lake Geneva, Wis., where a long-moribund market suddenly turned lively; and Park City, Utah, where a major investment by Vail Resorts is likely to take this ski and film retreat to new heights in the coming years. One of the writers of the article spent time with local Broker Bill Ligety during his visit to Park City. Vail Resorts, the ski-resort operator from Colorado, has moved into Utahs Park City, famed for its dry powder and 35-minute commute to Salt Lake Citys airport. In 2013, Vail Resorts signed a $25-million-a-year lease to operate the Canyons, one of three major local ski areas, before plunking down another $182 million to buy out much of neighboring Park City Mountain Resort. 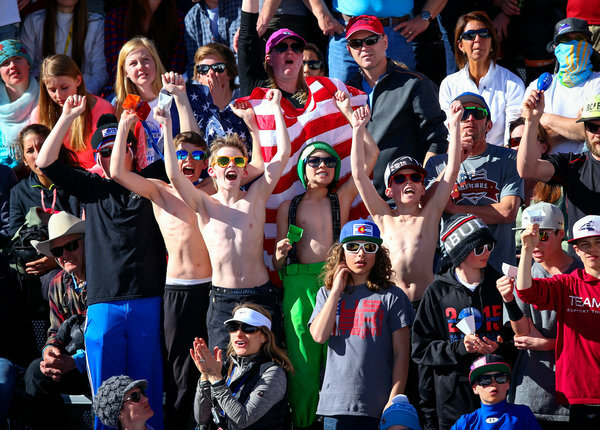 Park City is now the biggest ski resort in the U.S. with 7,300 acres of skiable terrain. It also offers value for your money. The median price in Park City is $1.46 million, comfortably below Aspens $3.86 million, Vails $2.12 million, and Sun Valleys $1.6 million. Park City began as a raucous 19th century silver-mining town with lots of bars and a red-light district; it now hosts Robert Redfords Sundance Film Festival and, soon, the newly reopened and relocated Kimball Art Center. Many of its ski slopes are included in Vail Resorts Epic Pass program, a season ski ticket that covers all of Vails 12 resorts worldwide. Each spring, skiers can buy online deeply discounted passes, whose price, like an Uber surge, rises as the new season approaches. Last year, prices started at just $769, barely a third of what it costs for a single-season pass to a top area like Aspen. Bill Ligety, a real estate agent at Summit Sothebys and the father of Olympic skier Ted Ligety, says that older homes in good mountain locationsbut lacking ski in, ski out accessare usually priced at around $500 per square foot (including land) and often renovated after a sale. At the other end, new mountain homes with good ski access can run $1,200 to $1,500 a square foot. Posted in Miscellaneous, Market News, Lifestyle and Recreation | 0 Responses to "Luxury Second-Home Prices Up 11% in 2015. Why you will want to buy in Austin, Texas, and Park City, Utah." "My legs were killing me in the Abyss, but I knew if I backed off even a little Id hate myself forever"
Posted in Miscellaneous, Local News, Lifestyle and Recreation | 0 Responses to ""My legs were killing me in the Abyss, but I knew if I backed off even a little Id hate myself forever""
Ligety Captures The Gold At World Championships! BEAVER CREEK  Olympic champion Ted Ligety reinforced his status as America's greatest giant slalom racer Friday, winning his third straight world championships gold medal in GS with a scintillating second run on a hill he has owned many times before. It was Ligety's second medal here and the first gold medal for the U.S. at these championships. The other U.S. medals here are a silver and two bronze. Ligety took bronze in combined. No other man has won three world championships gold medals in GS  consecutively or otherwise. This one was one of his most precious wins, though. He hit a rock in the season's first World Cup GS race that ruined an edge on his ski and caused him to finish 10th. He won here in December and followed that up with two second-place finishes, but in the last GS before the world championships break he was seventh. 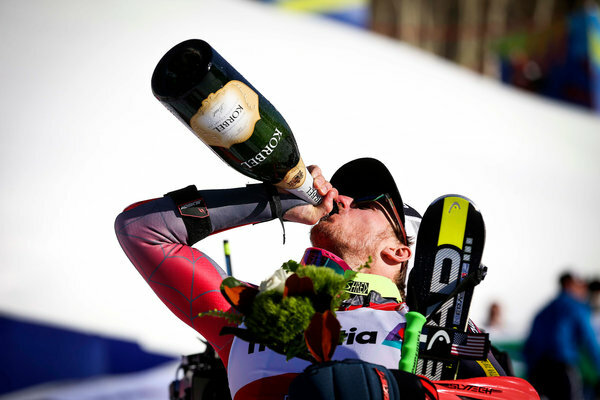 "It's really hard to rank them, but this one is a little more emotional than some of the other ones, just because this year has been a little more of a struggle," Ligety said. "In 2013 (the last world championships), I was winning everything, so it felt like, not a given but that I should be winning it really easily. Same with the Olympics, I was skiing great before that and knew I should be able to win. This one was a bigger question mark, as far as how I was skiing and how I could handle it. "To be able to come through and pull it off is awesome." Ligety has owned this slope in GS, winning World Cup races four years in a row and five of the past six years. "It's an arcers hill, so you have to be really clean on the edge all the way down," Ligety said. "I love racing in the U.S. That's one of the real anomalies for us, being able to race here in the United States. We're always in Europe, so having that extra comfort level of being closer to home and having friends and family support you is huge." Longtime rival Marcel Hirscher of Austria took the silver medal and Alexis Pinturault of France the bronze. Those three racers have been the best in GS for several years  usually in the order they finished Friday. "Ted was today in a league of his own," said Germany's Felix Neureuther, who finished fourth. Ligety was fifth-fastest in the morning run, 0.24 of a second behind Hirscher, but he crushed the second run, beating Hirscher's second run by 0.69 of a second and Pinturault by 0.89. Ligety was in first and Pinturault second when Hirscher entered the starting gate for his second run. 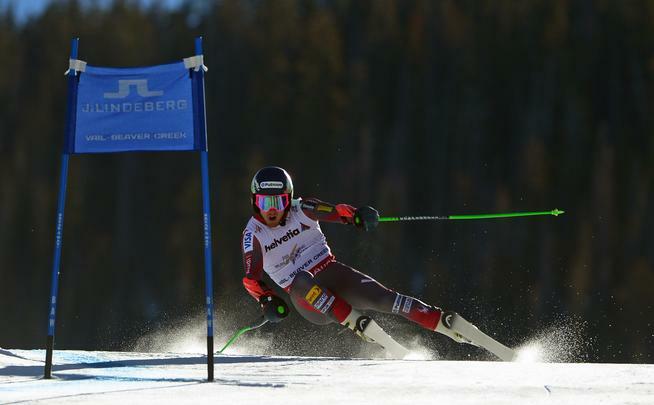 "For me it was really important to know that Ted had an outstanding run," Hirscher said. "It was definitely easier for me to make a decision in the starting house. I talked to myself and I thought, 'Two chances, no medal or go for it 100 percent.' I have skied definitely my personal 100 percent and I have given everything. Ted is skiing just brilliant, especially here." 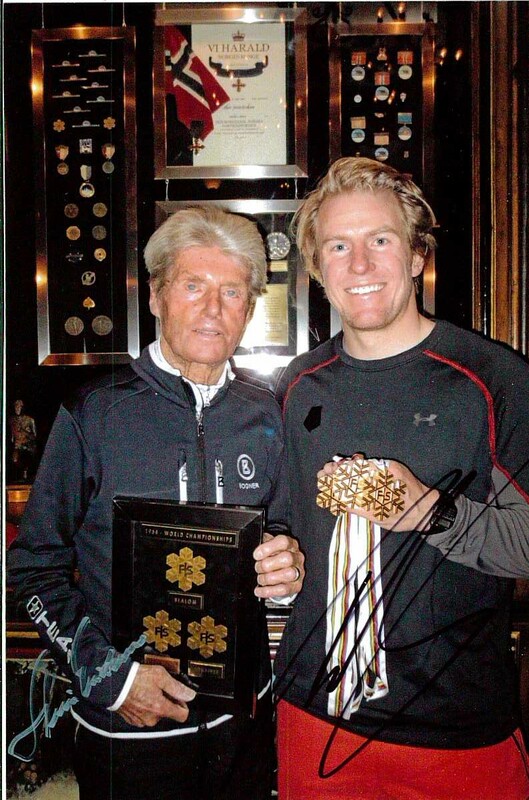 Posted in Miscellaneous, Lifestyle and Recreation | 0 Responses to "Ligety Captures The Gold At World Championships!"